Yen Bros. have been very accommodating on rush orders and their produce is exceptional! Why become a Yen Bros. customer? 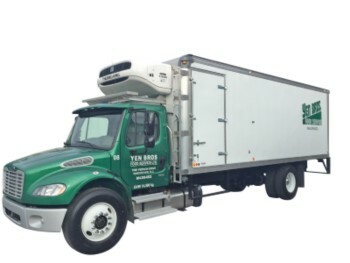 As a family owned and operated foodservice distributor, Yen Bros. is committed to providing exceptional products and solutions for each and every customer. We offer flexible, personalized service to ensure your operation is a success. Our team of foodservice professionals is committed to helping you grow by providing you with top-quality produce, proteins and dairy as well as the national branded products you know and trust. We deliver customized solutions, personal support and expertise in all facets of the foodservice business. Sign-up as a customer today? At Yen Bros. we understand that your success is our success. As a family-owned company, we offer the personalized service, flexibility, and attention to detail you need to grow and thrive in the foodservice sector. We’re committed to delivering a range of cost-effective foodservice solutions to suit all your business needs. Yen Bros. delivers six days a week throughout Vancouver and British Columbia. Ask about our same-day delivery for orders placed before 10 am.